Is the proposed probate fee increase a done deal? Probate fees are set to go up from April, with charges ranging from £250, for estates worth between £50,000 and £300,000, and up to £6,000 for estates valued at £2 million or over. The government has earmarked an increase in probate fees to generate a new income stream to help fund a more efficient and effective Courts and Tribunals Service. It has been estimated that the new fee structure, potentially being introduced in April 2019, will generate some £155 million a year, which would be earmarked for improvements to the courts service. In 2017, there was a consultation paper and proposal to introduce a sliding scale of probate court fees. This was to be linked to the size of an estate, with disproportionate fees being suggested for probate applications, with a fee of up to £20,000 for estates valued at £2 million and over. There was fierce opposition, with commentators describing the hike in fees as a “stealth tax” being introduced through the back door and disproportionate to the cost of the service by the courts of processing probate applications, the process being the same irrespective of the size of the estate. Owing to the May 2017 election, the plans to hike fees were shelved, as they were clearly unpopular. However, they were reintroduced in 2018, albeit at a reduced level, and we are now faced with another form of inheritance tax without any kind of exemptions applying, apart from the small concession for estates below £50,000 being taken out of the fee structure. The new proposals, contained within The Non Contentious Probate (Fees) Order, have been passed and all that remains is for the Statutory Order to be laid before Parliament for them to be given Royal Assent, resulting in them becoming law within the following 21 days. The new fees will be based on a sliding scale with estates worth £50,000 or less being exempt from paying a fee. All other larger estates will pay a much higher fee than the current standard flat fee of either £155 (for solicitor applications) or £255 (for personal applications). The new scale will range from £250, for estates worth between £50,000 and £300,000, and up to £6,000 for estates valued at £2 million or over. It was recently announced by the Office of Budget Responsibility, that the new sliding scale will be classified as a tax and reported in the National Statistics as a tax on capital, rather than a payment for a service. However, it is interesting to note that the Ministry of Justice is still maintaining that the new fees are an enhanced probate fee, rather than a tax. This stance is probably deliberate bearing in mind that if the fees were classed as a tax, a Commons debate and a vote would be required in order for the new sliding fee scale to become law. So, if we make the assumption that the new fees are a fait accompli and there is no opportunity for them to be properly debated or challenged, then what does it mean for executors and beneficiaries of estates? The first issue will be how families will raise the monies to pay the court fees, at what is already a difficult time and access to funds is limited. Once funeral expenses have been paid and monies earmarked for inheritance tax, will there be sufficient money left in a deceased person’s bank account to settle the court fee? Will families be prepared to take out a loan for the probate court fee, and will banking institutions be prepared to lend? Additional costs will be incurred for any loan arrangement and interest charges, which will be detrimental on those inheriting. We may well start seeing families taking out life policies and writing them in trust to cover the probate fees, or will they transfer bank accounts into joint names to allow family members easy access to funds on death? Will married couples consider unravelling property ownership to reduce the value of their estates, and how will this impact on tax-planned wills and protection under those wills for spouses with children from different relationships? As a concession, it has been proposed that for any estate unable to pay the fee, a limited grant application can be made, and that as soon as funds are accessible, then a subsequent application can be submitted. This will increase costs for an estate and lengthen the probate process, which will not be welcomed by those inheriting from an estate. The new fee structure seems unjust and unfair. The truth is that it is really a second inheritance tax charge, which bears no correlation to the cost of the service that the courts provide when dealing with probate applications. 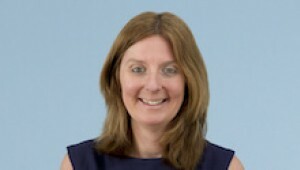 Helen Stewart, head of probate from Thomson Snell & Passmore.